In high school, I worked on the school newspaper for three years. I started writing my sophomore year, and immediately loved the one-on-one conversations I got to have with sources. I discovered activities, events, and perspectives I never would have heard about otherwise. I loved finding the story. As a reporter, I had the power to influence how the news was shared. I decided what information would be most important to our readers, and chose the angle from which to share this information. Unexpectedly, I fell in love with journalism. My junior year, I was persuaded into applying for an editorial position and by senior year I was Managing Editor. Although it could be endlessly time-consuming and frustrating, working on the paper was also endlessly rewarding. I made some of my best friends on the newspaper staff. Coming to Penn, I didn’t want to give up journalism. I considered writing for a completely student-run publication at a major university to be entering the big leagues. The news would be more hard-hitting, the audience larger, and the sources more interesting. However, since my arrival on campus, I had been told numerous times–mostly by non-M&T students–that I would have absolutely no free time with my workload. Nevertheless, I attended the first Daily Pennsylvanian (DP) information session and signed up to be a General Assignments reporter. Initially I assumed that I wouldn’t be able to handle the additional time commitment: where was I going to get another 6 hours a week? After a lot of debate, I decided to give it a try. If writing for the DP was too much, I could always quit. I also knew that if I didn’t sign up that fall, I never would, as freshman fall was my lightest semester at Penn, and there was never going to be a more opportune time to try something out. After my first article was published in the DP, I knew I wanted to continue writing. I loved conducting the interviews, writing the article, and even the pressure of the tight deadline. As I watched people pick up a copy of the DP on their way to class, I realized just how many people would be reading my articles, and that my work as a reporter had a purpose. More importantly, I knew I could balance my commitment to the DP and my schoolwork without sacrificing either. Everyone at Penn knows how much M&T students have on their plates, and the DP editors were no exception. They were willing to work with my schedule and plan around my busiest school weeks. This semester, I am an Advanced GA reporter. Although the time commitment has almost doubled, I have the opportunity to write articles I am interested in. A couple weeks ago, I wrote an article I pitched and it was featured on the front page. I can hardly believe that just a few months ago I considered forgoing the opportunity to write for the DP. I’ve learned that I don’t have to let my academics hold me back from pursuing my passions. You can read Margaret’s DP articles here. 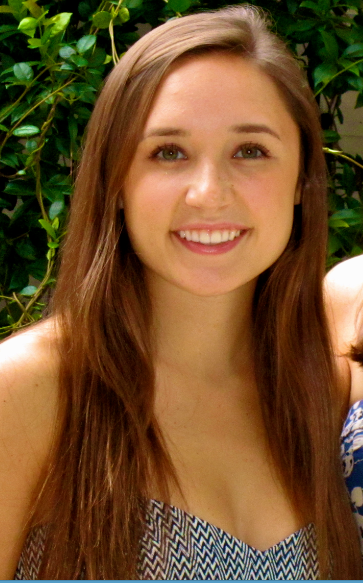 Margaret, from Palm Beach, Florida, is a member of the M&T Class of 2018. She studies Bioengineering within Penn Engineering and has yet to declare her concentration in the Wharton School.